Summer is a wonderful time to learn something new! With a little more time in the day and a little less stress, it’s easier to try out a new stitch or even a new craft. 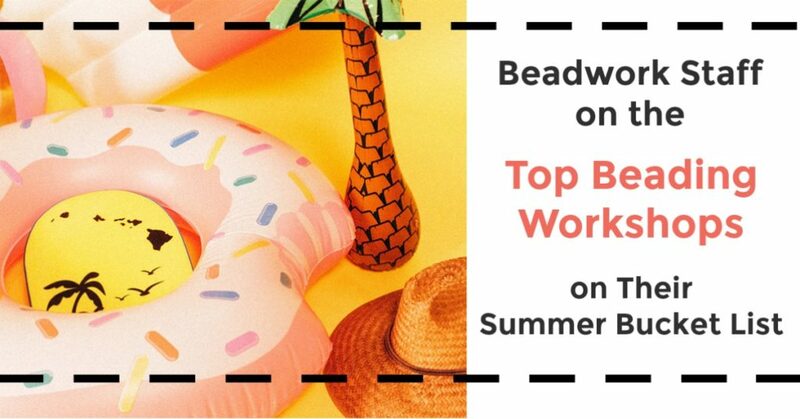 The Beadwork staff has put together a summer bucket list of things we want to explore and the top beading workshops to help us learn them taught by experts in the field. Join us as we all spend this summer getting to know our craft a little bit better! Ever since reading Marissa’s post about Zentangles and the Saturn Connections Kit, I want to incorporate some more zen in my life! Kristal Wick’s online workshop on Fabulous Zendoodle Beads looks like it will fit the bill! I can’t wait to lose myself in mindful creativity, resulting in a calmer, stress-free, zen-zone experience. I have been looking for where to begin practicing zen and mindfulness, so I’m excited to try my hand at the Mindfulness Journal exercise. 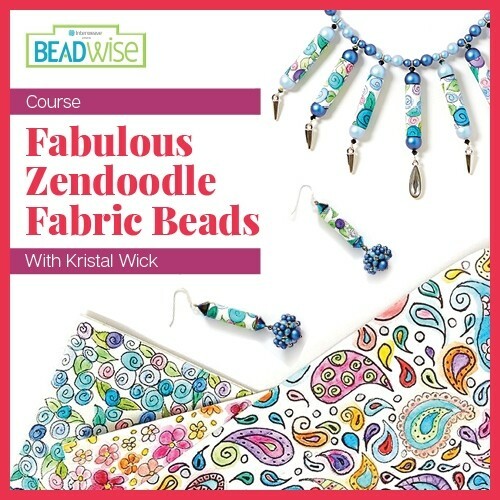 Any excuse to zendoodle combined with my love for fabric and making jewelry means that this course is at the top of my summer bucket list! I’m new to the world of beading, so when learning how to bead fell on my summer bucket list, I was more than a little nervous. 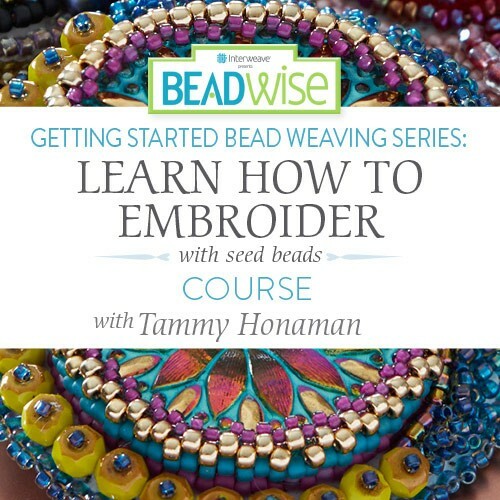 Thankfully, I quickly found my perfect place to start in Tammy Honaman’s course on Embroidering with Seed Beads. As a long-time embroiderer, I was thrilled to discover this fun and approachable course. It’ll help me dip a toe into the world of beading, all while checking off another thing on my summer bucket list! If you make jewelry, chances are at some point you took a picture (or two) of your work. And if you’re like me, you snap a quick picture with your phone for a reference and so you can share your latest designs on social media. Then, you find yourself wishing you took just a little more time to take a better picture only to realize, you don’t know how to really capture the image so it sings. This summer, my plan is to fine-tune my skills with both my DSLR camera and my phone. 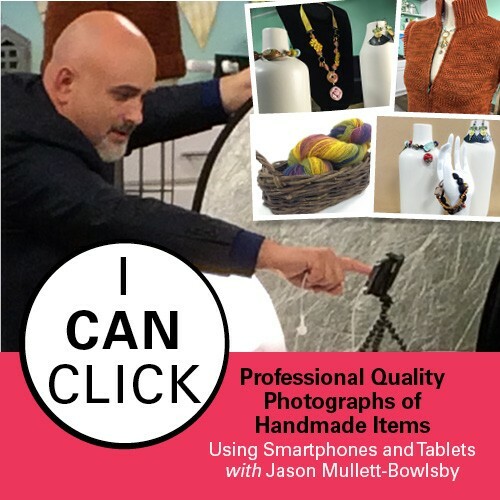 iCan Click with Jason Mullett-Bolsby looks like the perfect online workshop to help me accomplish my goals with my phone. Jason covers all you need to know on photographing any handmade item, including the perfect set up and lighting. Thanks in advance, Jason! This summer, with more time on my hands and more light for after-work beading, I’m hoping to explore a few more stitches to add to my repertoire. I already feel pretty comfortable with peyote, herringbone, right-angle weave, and cubic right-angle weave. But I’d like to get more experience with other basic stitches, such as brick, ladder, and square stitch. 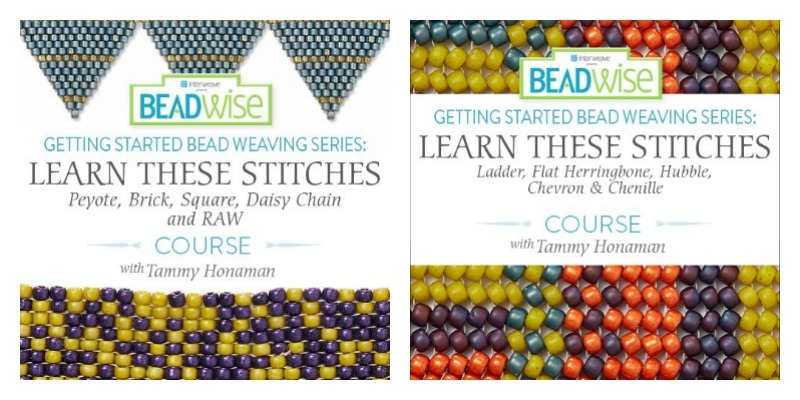 The best resource I’ve found for basic bead-weaving stitches is Tammy Honaman’s Getting Started Bead Weaving Series. I plan to check out Tammy’s “Peyote, Brick, Square, Daisy Chain and RAW” online workshop and her “Ladder, Flat Herringbone, Hubble, Chevron and Chenille” online workshop. What better time than summer to learn a new bead-weaving technique and brush up on those you already know? Since I have interviewed Carol Cypher almost a year ago, I have wanted to take one of her online workshops. She is such an interesting and friendly person that I know she would be an amazing instructor. 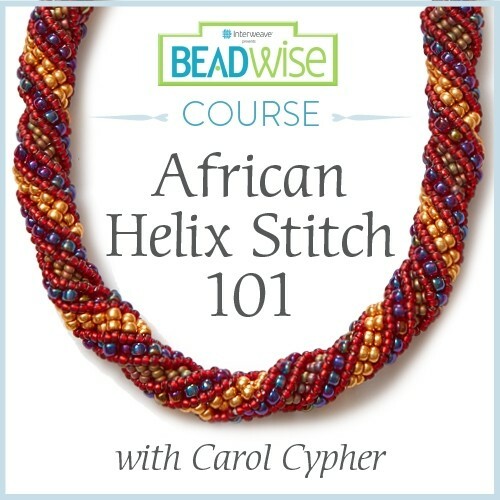 This summer I plan to learn the African Helix stitch and can’t wait to hear what Carol has to teach me about it. As someone who has followed her book, Mastering Beadwork: A Comprehensive Guide to Off-Loom Techniques, listening to her talk and teach this unique stitch is at the top of my bucket list! What’s on your summer bucket list—learning a new technique, finishing a long forgotten project, or maybe even making it to Bead Fest? Let us know in the comments. Find these online workshops and many more at the Interweave Store! Carrier Beads – New and HOT!